Happy Halloween!. . 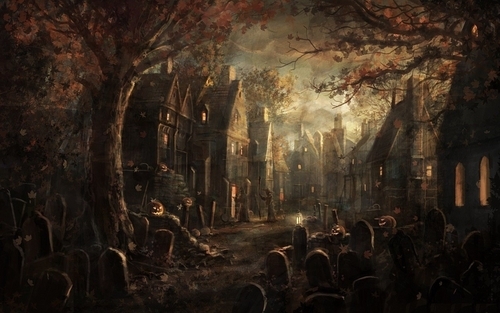 HD Wallpaper and background images in the हैलोवीन club tagged: halloween pumpkin scary dark graveyard. This हैलोवीन wallpaper contains सड़क, शहर के दृश्य, शहरी सेटिंग, शहर दृश्य, and शहरी की स्थापना. There might also be बीच, बीच पेड़, बीच के पेड़, पुरान बलूत, लाइव ओक, live oak, brownstone, and ब्राउनस्टोन.